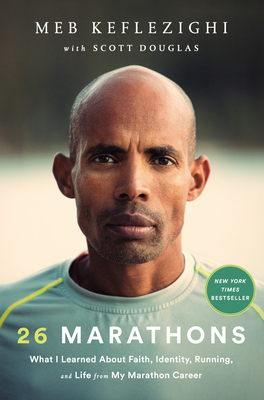 Meb's last marathon was also his 26th, and each of those marathons has come with its own unique challenges, rewards, and outcomes. In 26 Marathons, take on those legendary races alongside Meb—every hill, bend, and unexpected turn of events that made each marathon an exceptional learning experience, and a fascinating story. MEB KEFLEZIGHI's victory at the 2014 Boston marathon made him the first American man to win the race in 31 years. A four-time Olympic marathoner, Meb is also the founder of the MEB Foundation, which funds programs that promote fitness and other positive lifestyle choices for children. He lives in San Diego, CA.